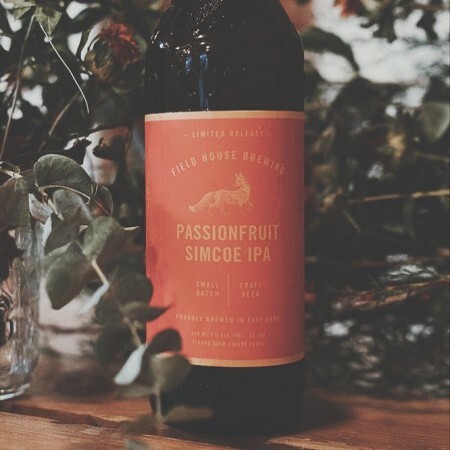 ABBOTSFORD, BC – Field House Brewing has announced the release of the first in a series of four fruit-infused IPAs. This IPA features Simcoe hops which have distinct passionfruit notes. We complemented this with actual passionfruit, adding both flavour and a slight acidity. Slightly bitter pine notes blend with the tart tropical fruit to create a refreshing and unique beer. Passionfruit Simcoe IPA is available now at Field House in 650 ml bottles and on tap, with liquor store distribution following next week.